Dimensions: 19" wide, 19" deep, 18" high. 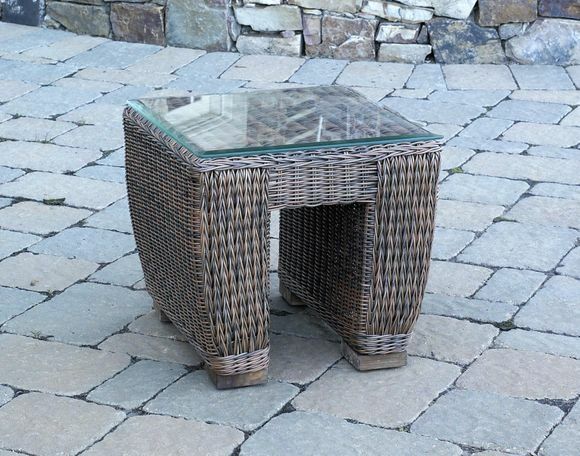 The Galveston end table with glass is suitable for total outdoor use and features a tempered glass top. 19" wide, 19" deep, 18" high.